I have to admit that we don’t celebrate Chinese New Year but that doesn’t stop us having fun with crafting around the theme. 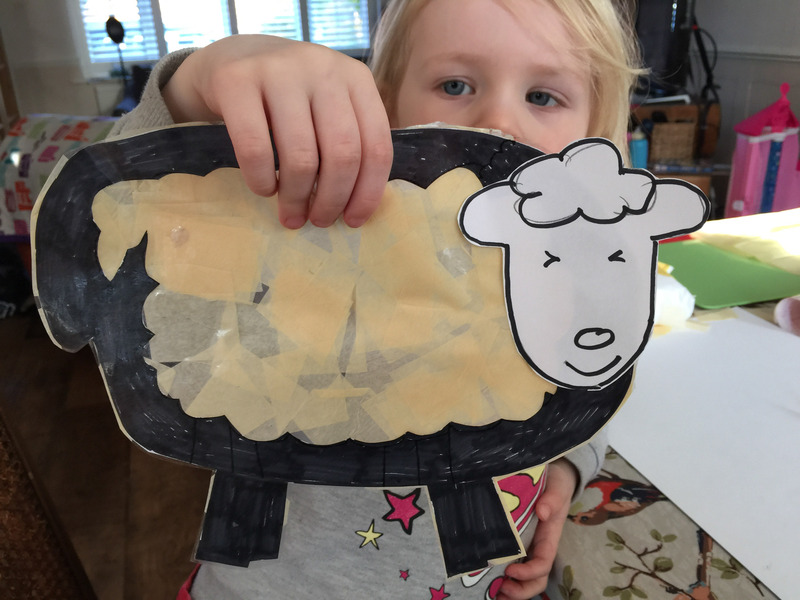 We’ve already made a Chinese lantern sun catcher but did you know that 2015 is the Year of the Sheep? We thought we’d make a sheep sun catcher. Our windows are full but there’s always room for one more, right? I drew a sheep on a piece of paper and used this as a base for our sun catcher. 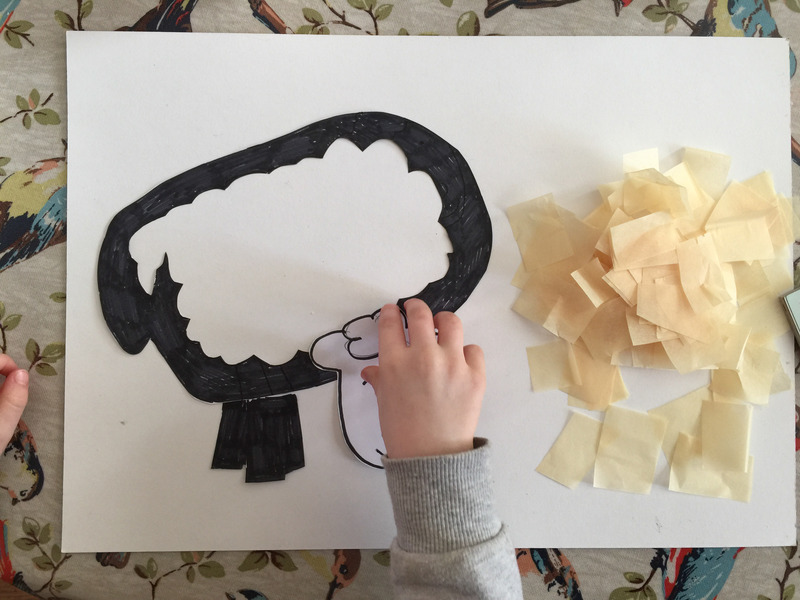 We made the sheep’s woolly body the sun catcher part and added feet and a head which I drew separately and cut out. 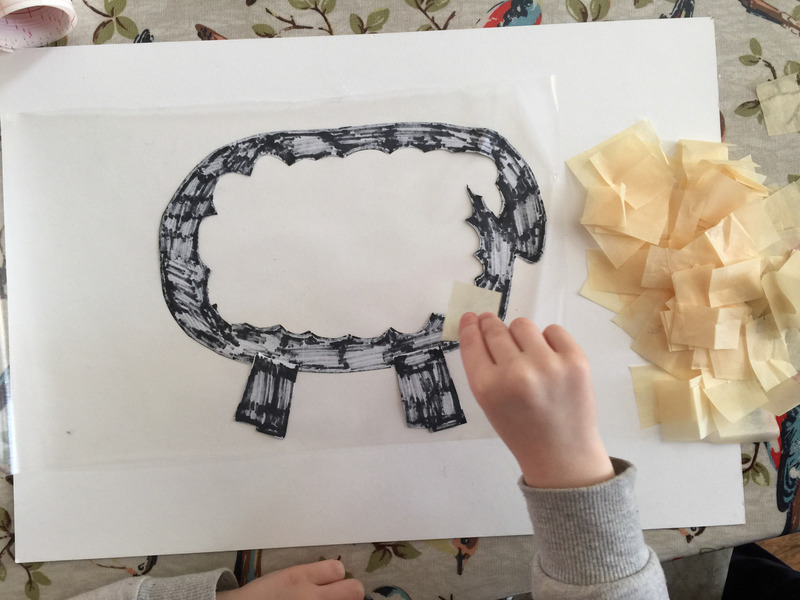 I placed the sheep’s body and legs on a piece of contact paper and gave my 3 year old a pile of tissue paper squares. She loves contact paper. She enjoys sticking her hands to it and shouting “I’m stuck!”. When she grew bored of that she tried dropping the tissue squares and seeing how many pieces stuck to it! She loves to craft and it was fun watching her play with this. When she had covered the body we sealed it with another piece of contact paper and cut around it to remove any extra pieces of tissue paper. We sellotaped the head on to the body and hung it up in the window. 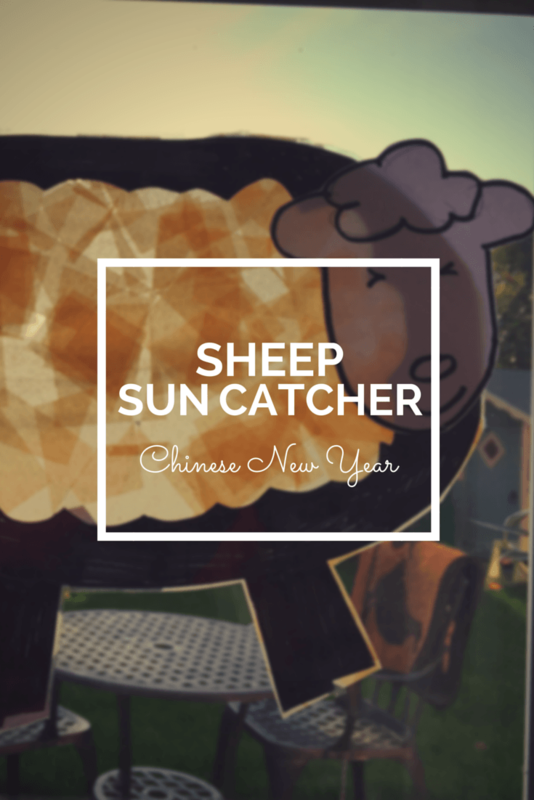 We don’t often make animal crafts but think this sheep sun catcher for Chinese New Year is pretty cute! 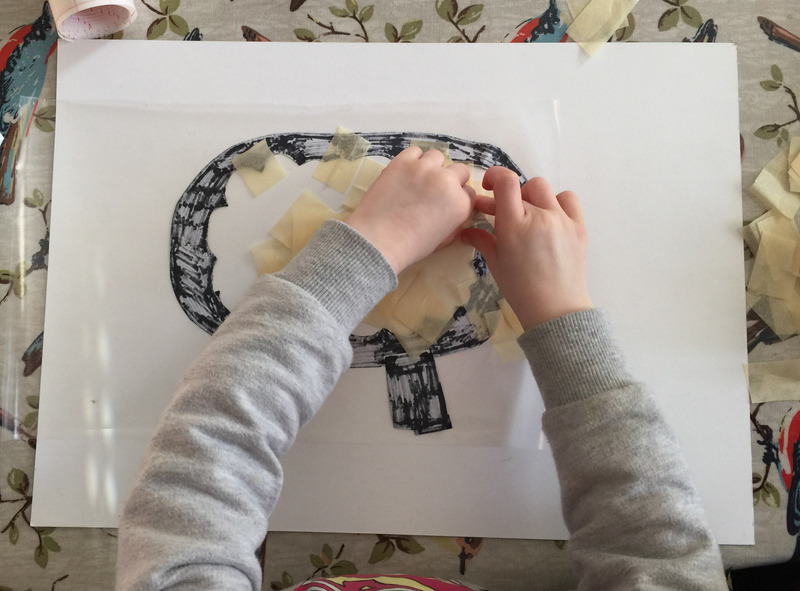 Oh this is beautiful – a simple craft but effective and a great way to get the kids involved in Chinese new year.